Bar de Nada Review – Nottingham – Traditional Tapas? Bar de Nada is now closed. As I write this review I consider the choice of establishment. Would it not have been simpler to visit an establishment which didn’t require the assessment of numerous dishes? A tapas restaurant opens the door to a much wider range of execution and varying standards of culinary experience. In my mind I turn this into a positive; it allows mime to sample more of chef’s repertoire. 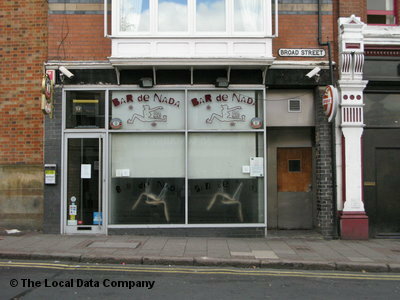 Situated on Broad Street, Bar de Nada, is a Tapas bar offering both Spanish and World examples of the small dishes. In its own words on its website “…while other venues in the neighbourhood increasingly play host to townie drinkers and two-for-one vodka teeniest, Bar de Nada remains an oasis of bohemian sensibility and barbarian-free good times.”. Still unsure of whether I was Bohemian enough I nonetheless ventured into deepest Hockley with a group of friends on a Monday night. The restaurant was pleasingly busy and atmospheric; its biggest quirk is undoubtedly the décor. It has a number of, what can only be described as, ‘artworks’ mixed with the occasional, traditional Iberian feature. Imagine a cross between Spanish farmhouse and garden furniture. One unique selling point of the restaurant is its wide selection of continental beers and, more traditionally, very reasonably priced Sangria. On the evening I enjoyed a bottle of Estonian Viru while one of my companions had a Dark Erdinger. The menu is a somewhat unwieldy. There is no discerning order, the usual common organisation of Meat, Fish, etc. is absent, vegetarian’s here will have to hunt for suitable dishes. A further disappointment is the lack of specials or seasonal dishes; it is not a long menu and would be offset well by these. Prices are reasonable at between £3-£5 on average for a dish with bounteous portions. I won’t mention all here but we sampled probably around 50% of the menu between our group on the evening. Mostly the classics were adequately executed. Patatas Bravas came with a rich tomato sauce complimented by an aioli with a pleasing hit of garlic. Both chorizo and Spanish meatballs were capably done but lacked a real depth of flavour, the chorizo needing an extra glug of red wine, the meatballs a pinch more seasoning and ideally much more pimenton. Likewise Gambas with chilli and garlic had good, well cooked prawns but didn’t deliver that punch of chilli that was promised. Straying from the Spanish menu will also sample several ‘world dishes’ which again were a mixed back. Lamb patties with raita did pack strong flavours, a chilli kick combining well it’s creamy yoghurt partner. Less impressive was Jerk chicken, anything advertised as “HOT…HOT…HOT” needs to deliver, and this…didn’t. Both deep fried calamari and “fish” had a good batter although lacked a quality dipping sauce needed for the dish. On this occasion we didn’t order desserts. Service was unfussy; with a laid back Spanish approach being employed. Despite this service was efficient throughout, with dishes arriving at a good pace. Value at Bar de Nada is good, a danger with Tapas is the dishes adding up but here you could comfortably by satisfied on £10-15 a head. Whilst it is ultimately let down by two depths: of flavour and of the menu, it is certainly worth a visit compared to the chain option of La Tasca.